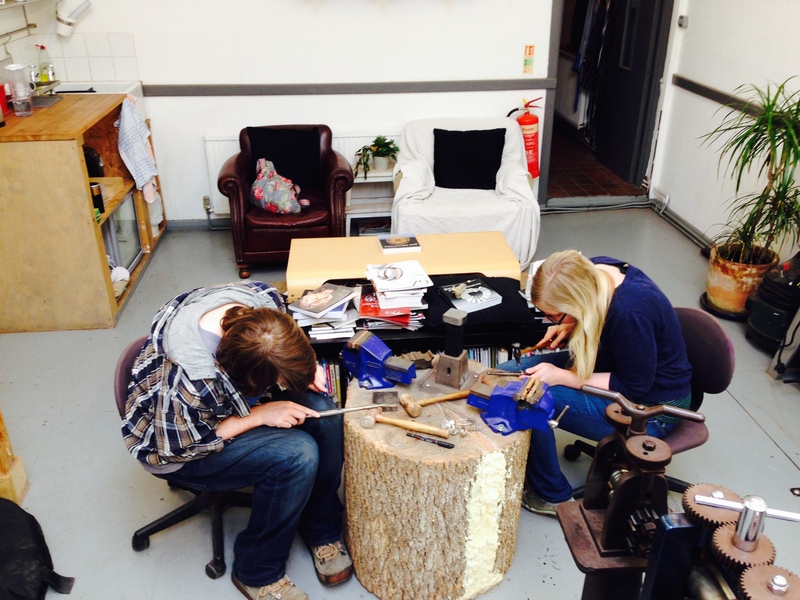 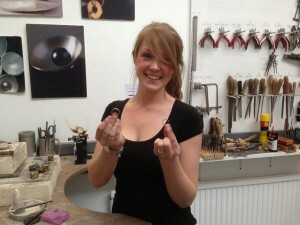 Spend the day making your wedding rings at Creatstudio. 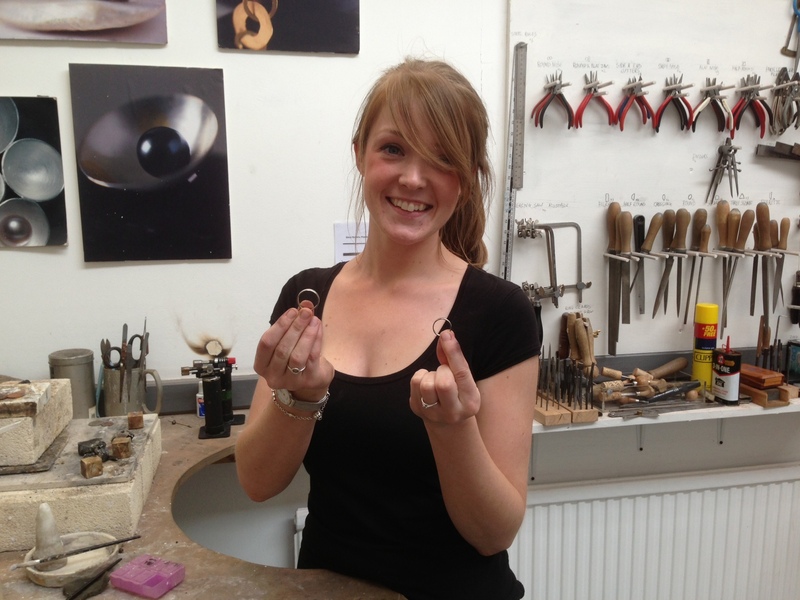 The cost is £325 for two people where you will be able to make two wedding bands, out of a metal of your choose. It is best to book your day as soon as possible so we can secure the date for the two of you and order the materials. 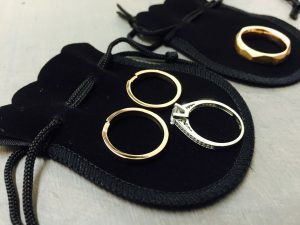 Materials will cost extra and the price is dependant on the metal you use; when booking please state what material you wish to make your rings from and I can provide you with a price. Payment will be taken to secure the day and to order the materials once both have been agreed. 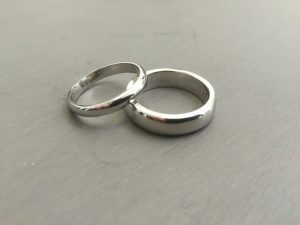 If you would like to have the rings hallmarked and or engraved this can be done after the day and will be posted to you. 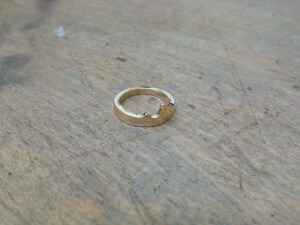 Engraving will cost £48 per ring for the name and date to be hand engraved and returned to you. 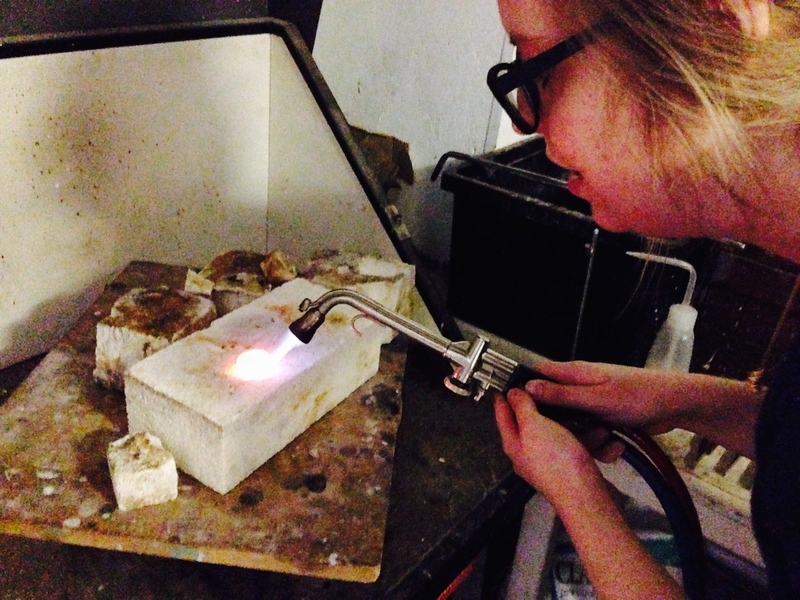 Hallmarking will cost £60 for both rings to be hallmarked and returned to you. You can design your own rings but this will need to be discussed before your day is booked. 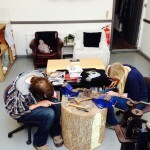 Please do e-mail to book your day workshop. 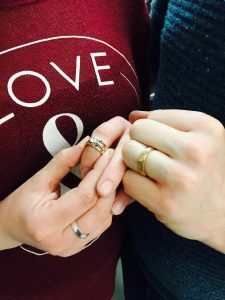 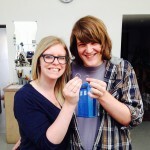 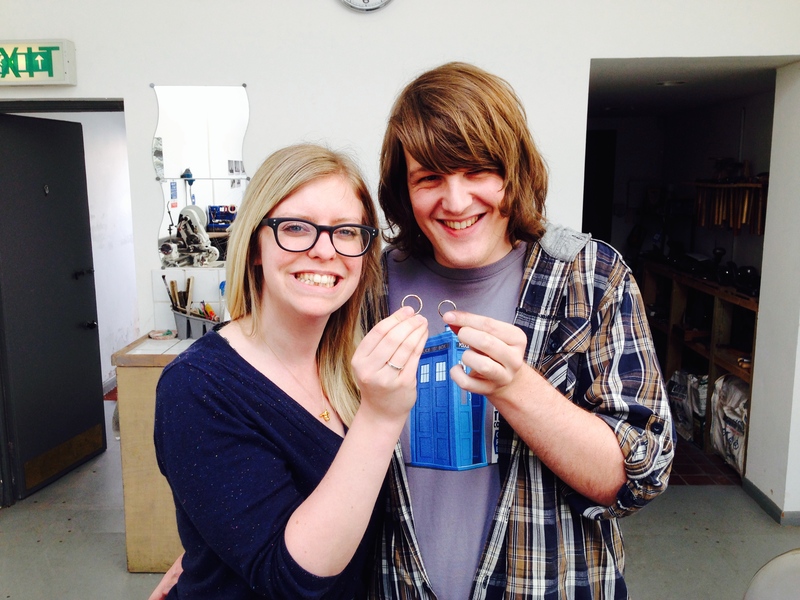 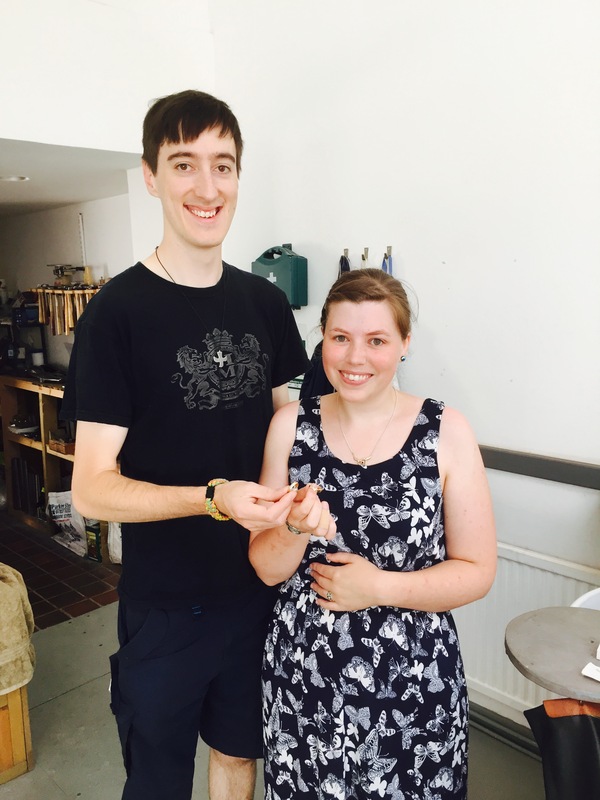 Jenny & Sam with their wedding rings made from 22ct of old family rings & coins. 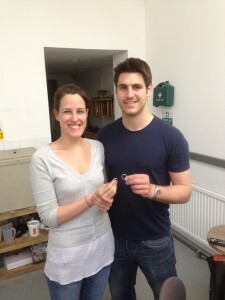 Barney & Nikki with their wedding rings. 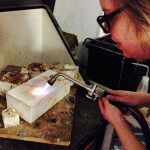 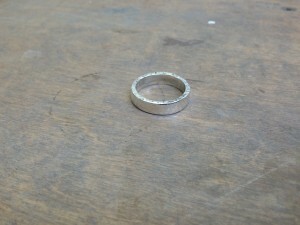 Tara’s hot forged wedding ring for her husband, lots work went into this ring. 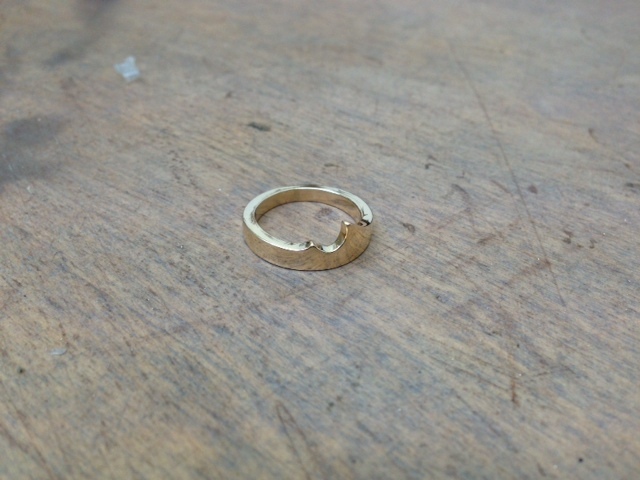 Jo’s wedding ring made to fit her engagement ring on one side and flat on the other side to sit flush with another ring. 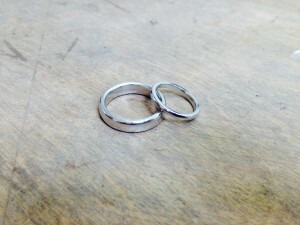 Fiona’s white gold wedding bands for her and her partner, she made them both in a day. 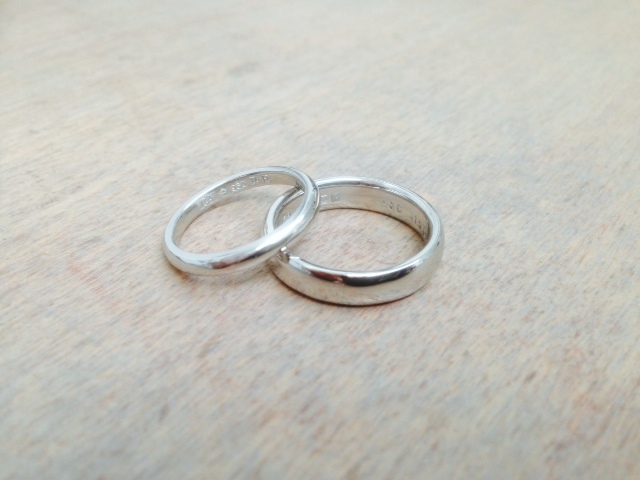 Alex and Claire’s platinum rings made on a Sunday wedding ring workshop, rings hallmarked and laser etched. 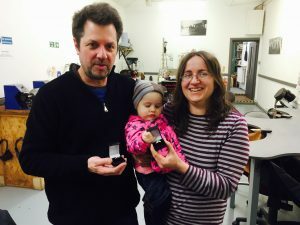 Jonathan and Louise made two white gold weddings rings to their exact measurements and finished their rings with a hammered texture. 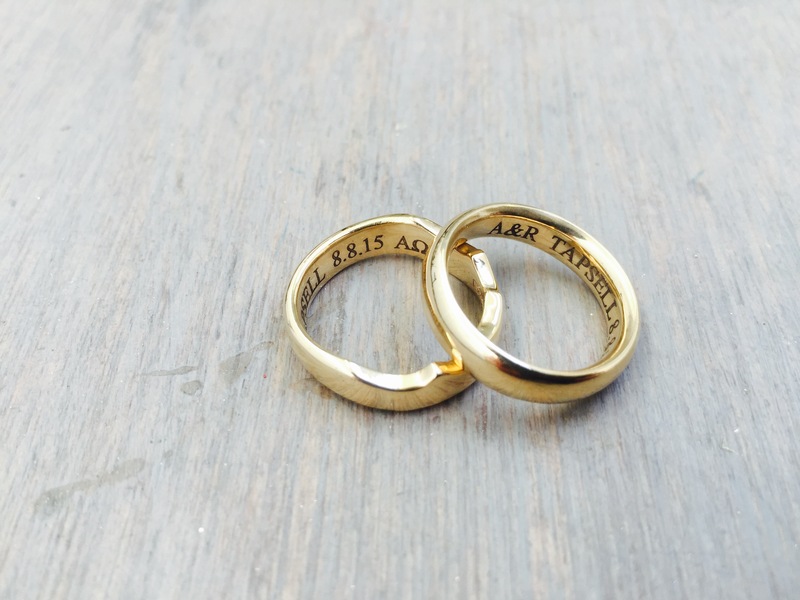 They also had them hallmarked and engraved. 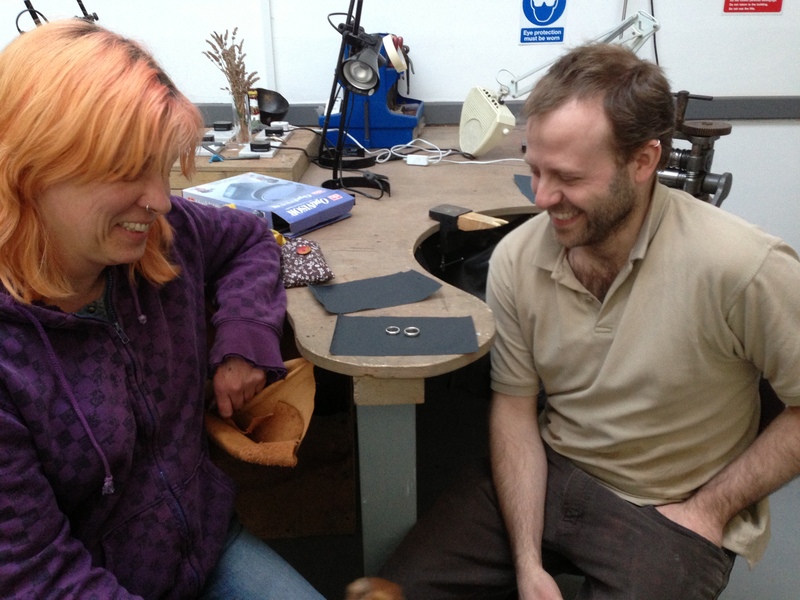 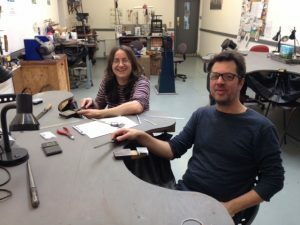 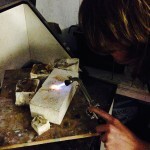 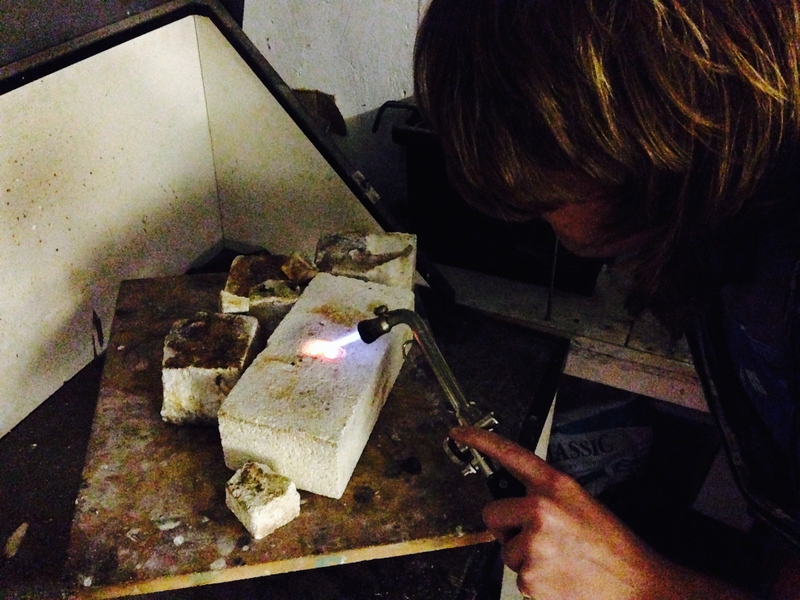 Jason and Hazel made palladium wedding rings, hot forged and rolled to the sizes wanted. 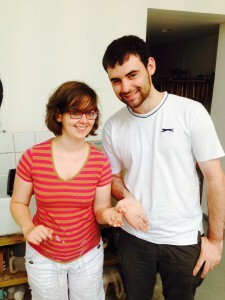 Rhona and Andrew’s finished wedding rings, back from assaying and engraving. 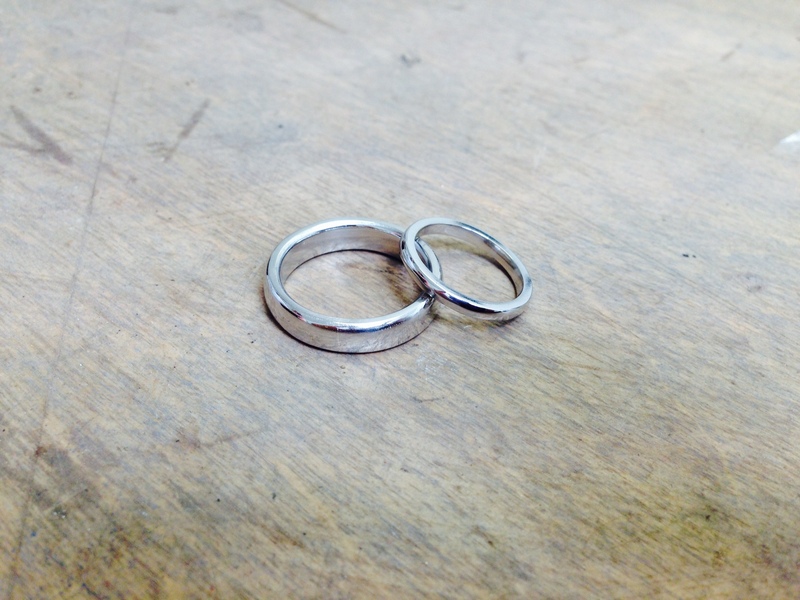 Helen and Mikes wedding bands made very well with an added personal touch of heavily filed facets! 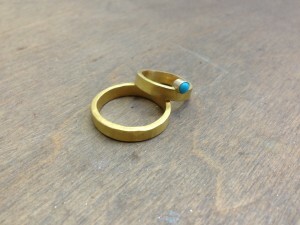 Nigel & Lenka’s wedding rings, made from new and found gold. 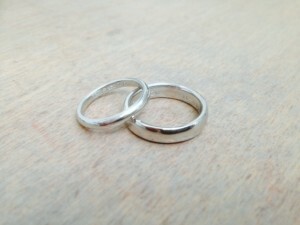 Carrie-Anne and Gregg’s platinum wedding bands.